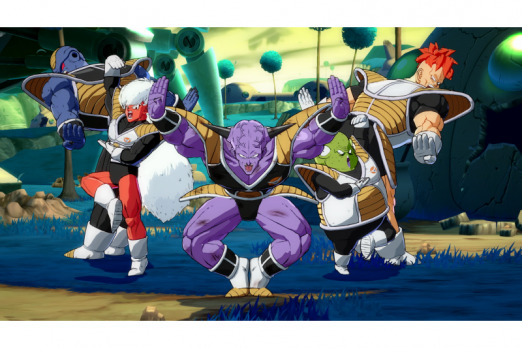 Dragon Ball FighterZ is one of the best games of early 2018 but if you’re looking to battle one or multiple friends online in the anime-style fighting game there are a few steps to get it done right (despite the “no rooms” problem Bandai Namco is having). Setting up to fight friends online in fighting games is relatively easy and Dragon Ball FighterZ is just that but it’s not as intuitive as other titles in the genre. There are Arena Matches and Ranked Matches that are more for those looking to fight anyone who wants to take the challenge but if you’re looking for a private sessions with friends you’ll need to create a Ring Match. 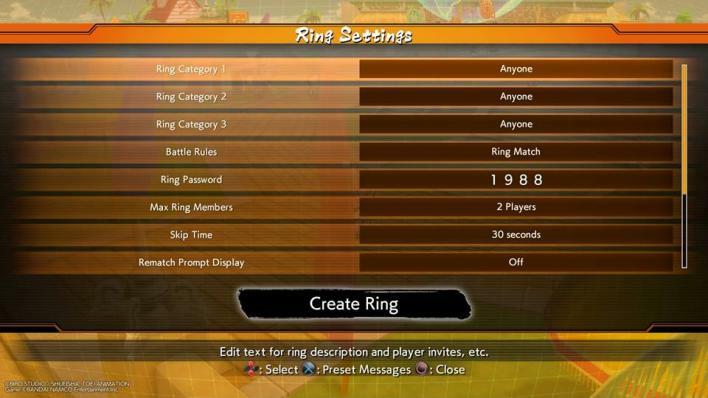 Here’s a step-by-step guide to creating a Ring Match for your friend or friends in Dragon Ball FighterZ. All parties must be in the same Lobby, this includes the region. For example, all of the parties must be in the US East Coast 1 room. After the region is chosen, choose the Lobby. The first few Lobbies may be full so scroll down and go into ones at the bottom of the list. The amount of current accounts inside that Lobby will be shown, so choose one that isn’t full and tell your friends which one you’re in. Once you’re all in the Lobby, one friend needs to setup the Ring Match. 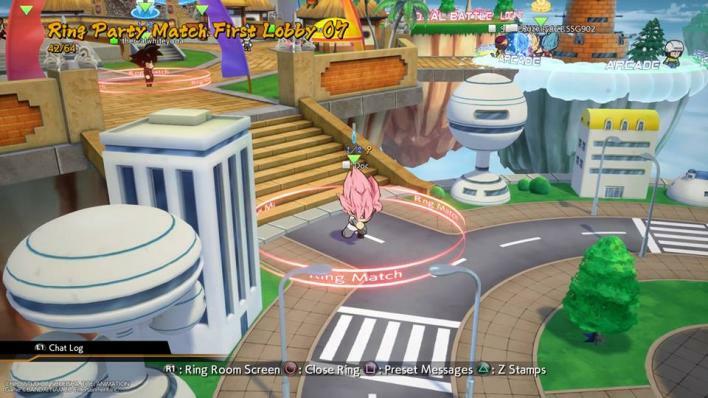 Press R2 and create your desired rules like how many people will be in this “mini lobby,” if the winner of the match will continue to fight after the first battle is finished, etc. We recommend creating a Ring Match password so that it can only be you and your friends. Once that’s all done, hit “Create Ring” and a red ring will appear around the creator. The friend or friends looking to fight will go inside the ring and accept. This will take everyone who accepts into the “mini lobby” where you can all duke it out. And that’s everything you need to know about creating a Ring Match in Dragon Ball FighterZ and playing friends online. If you encounter the “no rooms” prompt you are not alone. It’s a bug on Bandai Namco’s end so you can either keep trying or wait until the issue is resolved. Have you been able to play with friends online? Let us know how it went in the comments section below.